In Wes Craven’s ‘’A Nightmare on Elm Street’’, Nancy Thompson (Heather Langenkamp) lives in the perfect suburban area of Elm Street, Springwood. After the death of her best friend, Nancy realises that Elm Street has a dark secret after constantly having nightmares about a disfigured child murderer named Freddy Krueger (Robert Englund) who used to live there. Now it’s up to her to make sure that she and her other friends do not fall asleep otherwise they will die in real life. 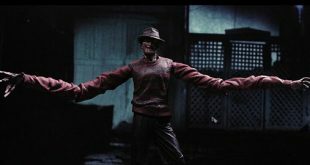 Out of all the slasher films from the 70s and 80s, ‘’A Nightmare on Elm Street’’ probably has the most unique and original concept. The idea of being killed in your dreams is more terrifying than being chased in the woods and the film plays around with its events, making the audience think about what takes place in the dream world and the real world. It also diminishes the cliché of the large, mask-wearing serial killer who doesn’t talk and instead introduces a villain with a humorous, yet scary personality who enjoys cracking jokes, torturing victims and wearing a Christmas sweater. Tina’s (Amanda Wyss) death as she is dragged across the ceiling. 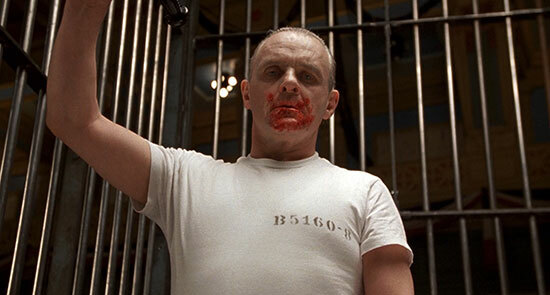 Based on the novel by Thomas Harris, ‘’The Silence of the Lambs’’ stars Jodie Foster as Clarice Starling, a student at the FBI Academy who is assigned to meet cannibalistic serial killer Hannibal Lecter (Anthony Hopkins). Her job is to attempt to gain information from Hannibal that may help track down another serial killer named Buffalo Bill (Ted Levine), who has kidnapped the daughter of a senator. Although the film may not include jump scares and terrifying monsters like the other films on this list, ‘’The Silence of the Lambs’’ is still scary in a psychological manner. The scenes of Hannibal calmly talking about his victims without any remorse and the depiction of Buffalo Bill’s torture on women will send chills down your spine. Clarice meets Buffalo Bill at his house. ‘’The Ring’’ (remake of Japan’s ‘’Ringu’’) explores the myth of a cursed videotape, which contains weird and disturbing images. It is apparent that when somebody watches this tape, they will receive a phone call from an unknown person saying that they will die in seven days. After a series of deaths relating to the videotape, journalist Rachel Keller (Naomi Watts) watches the infamous video and begins to investigate its origins and the people connected to it, such as a young girl named Samara Morgan (Daveigh Chase) and her family. ‘’The Ring’’ is an incredibly eerie ghost story that would appeal to those who enjoy scary urban legends. The success of this film has paved the way for many other Asian horror films to get an American remake in the 2000s such as ‘’The Grudge’’, ‘’The Eye’’ and ‘’Shutter’’. Samara crawling out of the TV. A year after the tragic death of her family, adrenaline seeker Sarah (Shauna Macdonald) reunites with her friends to explore a hidden cave in a remote area of the Appalachian Mountains. When a narrow passage of the cave collapses, the characters are trapped and are attacked by flesh-eating creatures (called the Crawlers) that uses sound to hunt. ‘’The Descent’’ is an intense and claustrophobic film that will make you scared of the dark. Not only is it worth watching due to the excessive gory content and brilliant twists but for the depiction of strong female characters who stick together to defeat the frightening Crawlers. ‘’The Descent’’ proves that the Brits can also deliver a remarkable horror film. 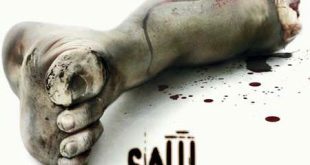 Since the 2000s, James Wan revitalized the horror genre with his twisted and gory ‘’Saw’’ franchise. In 2010, he directed ‘’Insidious’’, which marked the beginning of another successful horror series. The film focuses on a married couple named Josh (Patrick Wilson) and Renai (Rose Byrne), whose son Dalton (Ty Simpkins) fall into a coma after moving into their new home. Believing that Dalton has become possessed by a paranormal entity, Josh and Renai enlists the help of demonologist Elise (Lin Shaye), who senses a presence in their house. 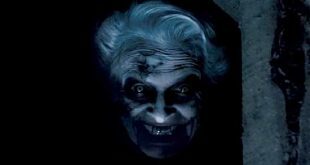 ‘’Insidious’’ is probably one of the best horror films in recent years because it is filled with heart-stopping jump scares, chilling moments and frightening antagonists such as the Lipstick-Faced Demon, The Bride in Black (or the Old Woman) and the Long- Haired Fiend. The opening shot showing the Old Woman (Phillip Friedman). Renai finds a mysterious boy dancing in her house. The Lipstick-Faced Demon appears behind Josh. In 1971, married couple Roger and Carolyn Perron (Ron Livingston and Lilli Taylor) move to a farmhouse in Rhode Island with their daughters. They start to experience strange noises and movements around the house, leading Carolyn to contact demonologists Ed and Lorraine Warren (Patrick Wilson and Vera Farmiga) for help. After examining the farmhouse, The Warrens discover that The Perron family are being haunted by a supernatural presence named Bathsheba, a witch who previously lived in the farmhouse and cursed those who would take her land. The Warrens and The Perrons work together to defeat the witch before it is too late. Like his previous film ‘’Insidious, James Wan’s ‘’The Conjuring’’ features spooky and tense scenes, combined with jump scares to bring a sense of dread for the audience without relying on special effects. In addition to that, the film is also notable for introducing Annabelle, the creepy doll who ends up getting its own spin-off in 2014 and a prequel in 2017. The exorcism of a possessed Carolyn. Following the mysterious disappearance of his little brother Georgie (Jackson Robert Scott), Bill Denborough (Jaeden Lieberher) and his friends are haunted by a supernatural entity that emerges from the sewer every 27 years to prey on children. 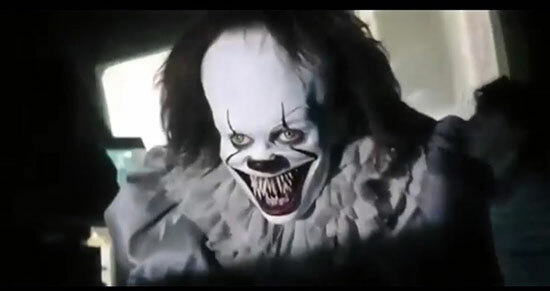 This entity has the ability to shapeshift into various forms, based on the children’s fears but often appears as a dancing clown named Pennywise (Bill Skarsgard). Bill and his friends band together to investigate the whereabouts of Georgie and overcome their fears to defeat Pennywise. ‘’It’’ is the second adaptation of the Stephen King novel (of the same name), the first one being a TV miniseries which was released in 1990. The film has re-introduced King’s classic tale to a new generation of horror fans and is definitely worth watching for its strong cast, especially Skarsgard’s unrecognizable performance as the sinister clown who torments the kids in a humorous yet disturbing manner.